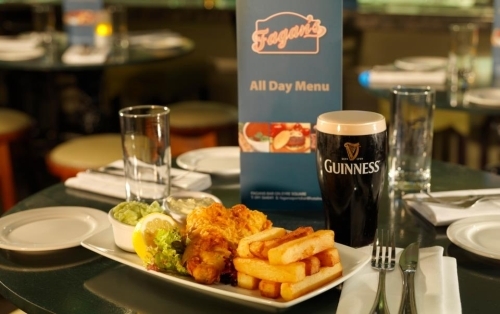 Fagan's sports bar is located in the basement of the Hotel Meyrick. 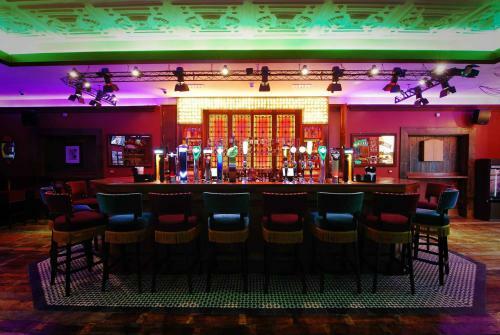 As you can guess from the name the emphasis is on TV Sports with 9 large screens scattered around the room. Complimentary snacks are served during games. 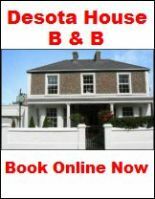 As well as the normal sporting events such as Rugby and the Premier league you can catch many American NFL games here. 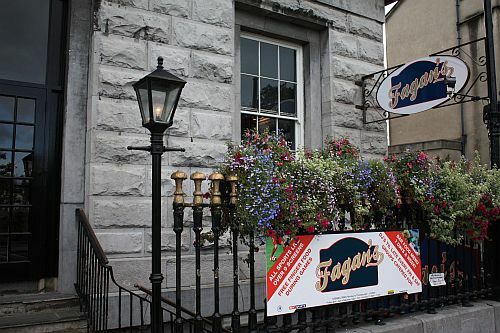 Fagan's is a really a story of two previous bars located on the premises- Tosh and O Flaherty's. Tosh was a short lived exclusive cocktail and champagne bar. 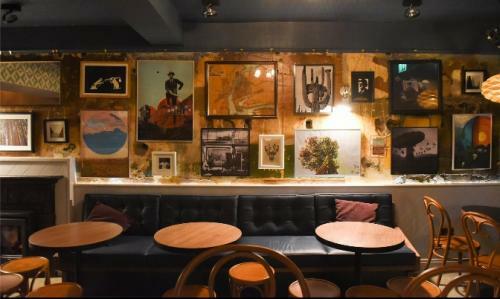 Some of the decor from Tosh still remains so you have a Sports bar located in a a very modern contemporary surrounding. 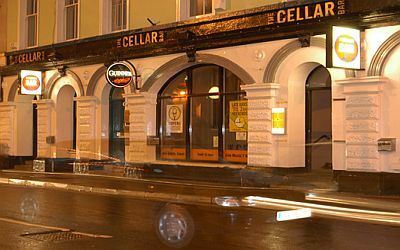 O'Flahertys occupied the premises when the Hotel was knowh as the Great Southern Hotel and the link has been remembered by naming a chicken burger on the menu "The Famous O’Flaherty’s Chicken Burger". Overall the menu has a litlle bit of everything from Pizza to Curry and everything is pretty tasty as you would expect in a Hotel, the standard of the Meyrick.